Thats sooo much snow! You truely do have all four seasons! Ooh, good heavens! However did you dig yourself out? We didn’t! I am lucky enough (hahahaha) to be able to work from home when needed. Needless to say, we stayed at home for four or five days! I’m pretty tired of the snow but it makes for a beautiful shot. Great colors in the sky. 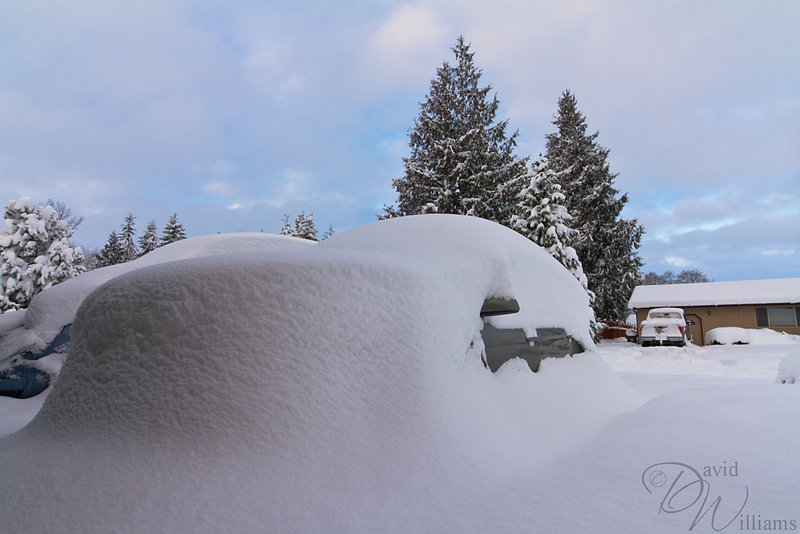 We could not believe the amount of snow we got in such a short short time! Thank you for the comment. Wow, keep it, it looks pretty. We just got the rain to wash all the snow away. I do like the photo. I love how quiet it get’s when it’s snowed, so peaceful…too bad so many people can’t drive in it! Lol, thanx Emily…we did get hit pretty hard! Whoa! impressive, sounds bad, but it made a nice photo op! Sounds like you got it even worse than us, we’re only hit with 8″ or so. Good luck and enjoy! That’s a lot of snow – I hope you get at least one good snowman out of it! It was a ton o snow. Still around actually but, it’s melting fast. Yikes! I am so over winter. Bring on spring! And yet, nothing for your neighbors to the north! Cool photo! I’m so amazed by what a difference just a few miles made in snowfall totals. Crazy eh? Can’t believe the amount of snow we got in such a short time. I heard the snow totals for Mount Vernon last night and was hoping you weren’t out on the road. Crazy. We stayed in, lucky me I am able to work from home when needed.